Fast 24 hour mobile locksmith service in Los Angles California offering full one stop 24 hour locksmith anywhere in the LA County. Our 24 Hours services include Automotive, Residential and Commercial. 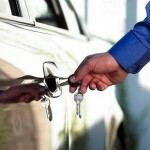 At R 24/7 Locksmith Los Angeles we are all about keys, we offer replacement keys to home car and office. do not duplicate keys and master key systems. from an affordable & responsible locksmiths! professional Car Locksmith Services any time anywhere in Los Angeles County we do over 90% of cars on the market from programming to laser cut car keys call R Car 1 (888) 303-5731 Locksmith. we have an immaculate bunch of Locksmiths on our work force, Our locksmith technicians are well trained in the art’s of the trade and are capable of handling any size job. 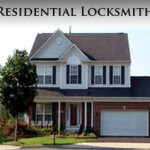 In addition 24 / 7 Locksmiths Los Angeles is a family owned and operated company. We have been proudly serving the Los-Angeles county area since 2008! Our mission is clear and our passion for Locks and Security keeps going strong. We strive to provide the best locksmith service 24 hours a day 7 Days a week to all of our customers. We’ve been in this business for more than a decade and we’ve seen it all… From simple lockouts to more complex electronic security locks and hand cuffs. We value your privacy and will always provide a discreet and reliable service no matter what the case may be. We make keys for locks, broken Keys, Replacement Keys, Duplicates and Do Not Duplicate, Re Key, Mail-box keys, Garage Doors and Gates. If you lost your keys our service is for any type lock all Lock & Key related. Our mobile service is fast, reliable and always on time. We know what it means to wait for assistance and so we never delay any of our services. Our lead time is 15 – 25 minutes and many times we make it in less. . . That’s Fast! We strive to provide the best locksmith solutions and services 24 hours a day 7 Days a week to all of our customers. 24 / 7 Locksmiths Los Angeles is a family owned and operated company. We have been proudly serving the Los-Angeles county area since 2008! Our home is like your home we service House Door Locks to broken Keys any House Re Lock New lock installation Re Key – Our expert staff is standing by to assist you. Our Road Assistance 24 Hour Mobile Service is unmatched Ignition key or broken key – extract the broken key and if needed we replace your automobile ignition and re key your lock or auto switch that and car lockouts you name it. FASTEST LOCKSMITHS AROUND! We understand what it means to be locked out of your home, car or business and how frustrating it is to lose your keys or have locked keys in car. 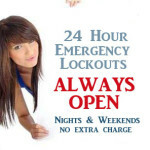 24 / 7 Locksmith Emergency Service are your one stop shop for any emergency service. Car Locksmith, Lost Key Replacement, Safe Locksmith Expert, Broken Ignition Key Removal, Car Ignition Repair, Car Unlocking, Door Unlocking, Locks Re-Key, Key Cutting, Lock Installation Lock, Repair Locked out of car service, Lost Car Keys No Spare, Mobile locksmith, Emergency Locksmith, Local Locksmith, Best Locksmith, Locksmith Company, 24 Hour Locksmith, Car Locksmith Mobile Locksmith, Emergency Locksmith, Lockout, Re key, Car Lockout, House Lockout, Lock change, Lock Replace, Lock Fix, Safes, High Security locks, Key Less Locks, VAT Key, FOB Key, Broken Key, Lost Keys, Dead Bolt Installation and repair, Master Re Key, Broken Lock Locksmith Company. They have GREAT customer service and will answer any questio. They have GREAT customer service and will answer any question you have (no question is a dumb question with them, I found that out early on lol). I have a 2006 Mitsubishi Eclipse GT. I was told by numerous people it hard to find a key from anywhere, but the manufacteror that will be compatible with my car. I took a chance with Streetkeys anyway because the key was only $19.99 compared to $104 for the real key. I received it very quickly and was given a list of places to get it done. The list of places was not what I expected because originally he had told me on the phone there was somebody right around the corner from me, but the list provided only had 3 places and all were at least 30 mins away and the next state over! I immediately called and he gave me the name to the real closest place (the lists are computer generated and it makes mistakes). The lockshop I went to only charged $25 to program and cut the 2 key blanks and they worked perfectly! They even said in the beginning it probably wouldn't work, but they were wrong. They had to charge me an extra $20 to find the key for my auto start remote, but even with that I only spent $85 total. If I bought 2 keys from the dealership it would have been $104 each. $208 plus the $100 ea to program and cut, I would have been spending over $400... Street Keys saved me a lot of money and I couldn't be happier. No I don't work for them I am really just an extremely satisfied customer. There weren't any reviews for their company but the one on this site and I took a chance many people would not take. It was well worth it! * cost is a minimum estimate for the respective job. The final cost will vary. It will depend on the security level of the lock brand name -plus cost of labor charges. ** This cost is a minimum estimate for the respective job and will be finalize folowing an on site physical review by a licensed technician key/ignition is uniquely built and cut therefore, the final cost will vary from car modal to car modal and make and will depend on the complexity and programming cost if associated. The amount payable will be $19 trip charge + Labor + Parts Cost Lock Hardware Cost. Note: that our dispatch team can only give an approximate estimate over the phone for the cost for the task, based on explanation given by the customer over the phone. The actual complexity of the situation may differ in, therefore the costs may vary and well be finalize bay a licensed certified locksmith technician.